How can I Buy Essential Oils at Wholesale Prices? Whether you’re interested in using Young Living’s natural health products as a customer; saving money as a distributor or wholesale member; or earning extra income, there is a place in the Young Living community for you. Who doesn’t like to buy at wholesale? Just like when you join Costco or Sam’s club you receive wholesale prices! When you become a wholesale distributor you enjoy a 24% discount and the opportunity to earn free product! What could be better? And, there is no renewal fee like when you join Costco. All you have to do is spend at least $50.00 (50pv) during the year in product, and you’ll maintain your wholesale status! It’s that easy! 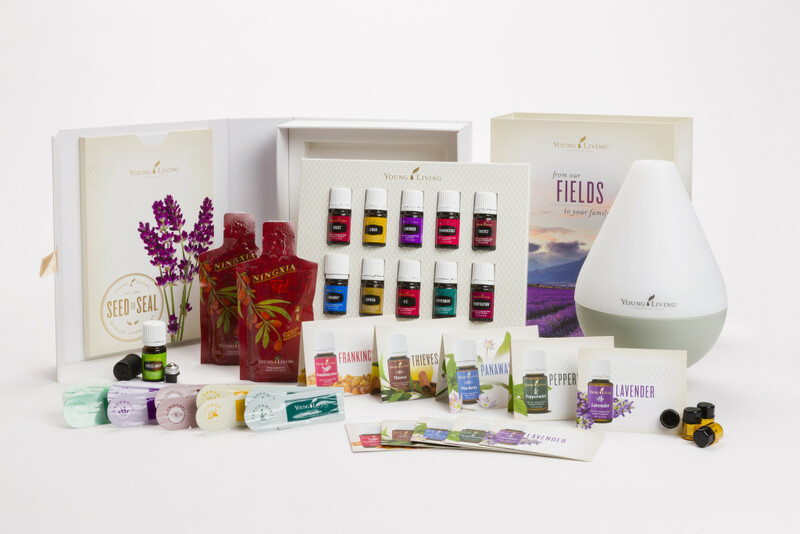 And now, when you buy the Everyday Oils Kit, you can sign up to buy any further purchases at wholesale and receive a Home Diffuser for free! Young Living’s newly designed Home Diffuser combines a humidifier, air purifier, atomizer, and aromatherapy diffuser into one product that safely releases essential oils into the air to eliminate odors and create a spa-like atmosphere. When I bought my Everyday Oil Kit, they sent me a coupon for $40 off the diffuser that I had to send in. Now, it comes with the kit for no extra charge! So, this is a wonderful change! You also will get a bottle of Stress Away Essential Oil, which is good for just like it’s name…when you are Stressed! You will also receive essential oil and Ningxia Red samples! 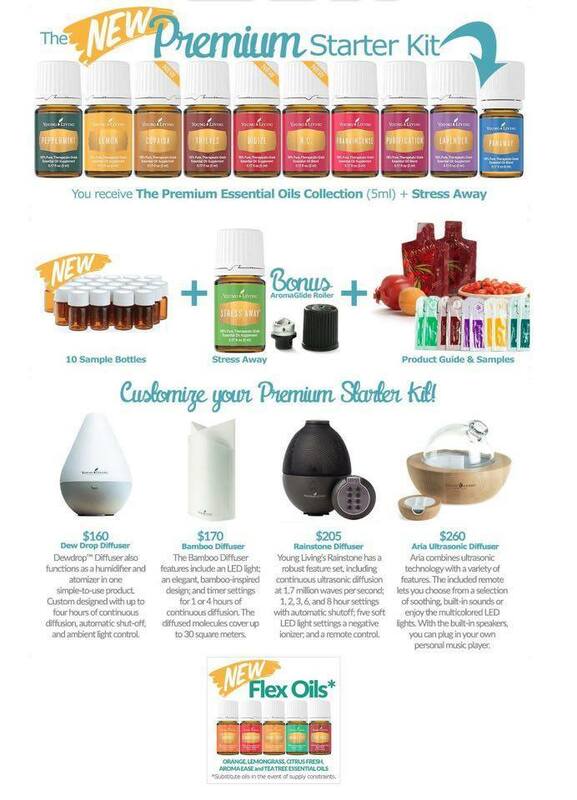 The Everyday Oils Kit is available as a Premium Starter (Distributor Membership) Kit for $160. This is an amazing deal! It includes the Everyday Oils Kit, the Home Diffuser, the Basic Starter kit, essential oil and Ningxia Red samples and the “wholesale membership” that qualifies you to save 24% off of retail prices as an Independent Distributor. I hate paying full price for anything! I love discounts! 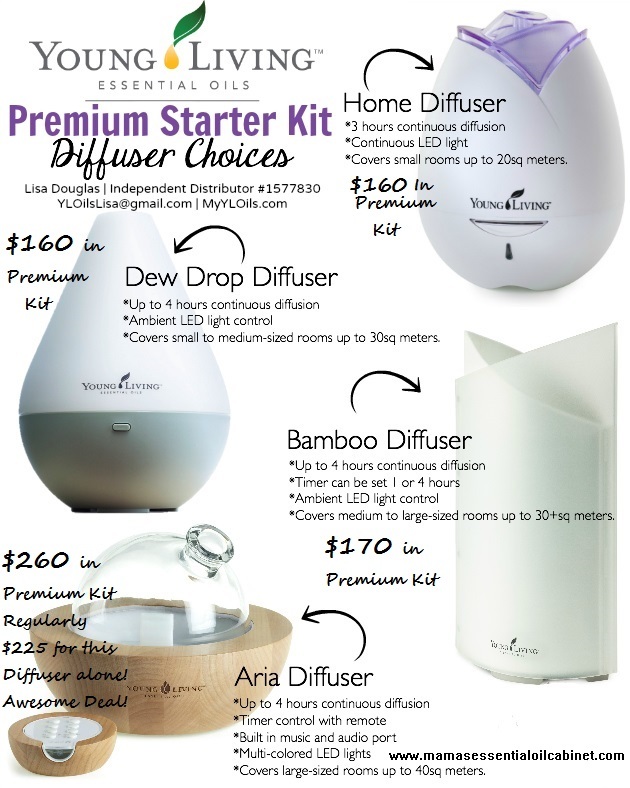 And now, you to choose your own diffuser with your premium starter kit! The Diffuser of your choice! One or more of the following essential oils may be substituted in the event of sourcing constraints or supply considerations: AromaEase™, Citrus Fresh™, Lemongrass, Orange and Tea Tree. Click Here to order and click on the Retail or Distributor option. The Distributor option, lets you order anything in the future at wholesale. In addition, by choosing the $160.00 premium kit, I will personally send you a FREE Reference Material packet. I do this because I want my Mama’s Essential Oil Cabinet team to know how to use their oils! And, in an effort to keep you well-informed, as a member of my team, you will be invited to a private Facebook group where we discuss the various ways we use and share our oils. This option really is the best bang for your buck. If you’re serious about essential oils you need to have enough oils and blends to experiment with! Select the “Independent Distributor” membership type. Once you’ve completed this process you will be given your own member number, which will allow you to start shopping with wholesale prices immediately. At this point, I recommend that you sign up for Essential Rewards so that you can earn FREE oils! *Although you can sign up for wholesale status with the minimum kits, these options will not qualify you for the free reference material packet. Also, I have found that signing up with one of the premium kits is much more beneficial because it gives you plenty of oils to start experimenting with (as well as a free copy of the valuable reference book featured below that will help you to learn how to use your oils). NOTE: This promotion is only offered to new Young Living members who sign up as wholesale customers (Independent Distributors) through Mamas Essential Oil Cabinet (#1297754) AND choose the “Start Living with Everyday Oils” option. This offer is only available to residents of the United States and Canada at this time.